We treat patients suffering from numerous conditions including back and neck pain, migraines, sciatica and bulging discs. Stop by our office in the Ballard area of Seattle to see us. We take your pain seriously, and after an initial consultation; we will work with you to develop an effective treatment plan to manage or eliminate your pain and suffering. When you live with chronic pain, some days are better than others. If the pain becomes more unbearable than usual, being able to visit with your chiropractor the day it starts is a significant benefit. That is why Glacier Chiropractic welcomes walk-in patients. Our integrative approach toward healing focuses on noninvasive techniques that support and promote the body’s potential to heal itself. A treatment regimen, including regular visits, will put you on the path to successfully dealing with your intermittent or chronic pain. It is rare to find a chiropractor that offers immediate same-day service. We understand that sometimes patients need to see their doctor immediately due to being in a tremendous amount of pain. Our same-day service is a convenient way to receive prompt medical attention when you need it most. Whether you need a chiropractic adjustment to correct subluxations or you require neuromuscular therapy, our trusted chiropractors can help. You now have the freedom to get chiropractic care and immediate relief. Get the attention you require and the care you deserve at Glacier Chiropractic. 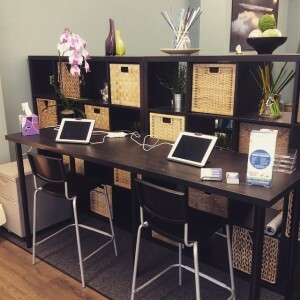 Unlike many chiropractic offices, we offer walk-in appointments. There is no need to suffer from constant pain. While an appointment is not necessary, we recommend making one to save time. Feel free to call our office with any questions or to schedule your appointment today.